Body wash is a product that we use every day while bathing. Bath products are as important as your other skin care products. 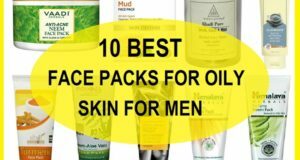 In fact, they are more important than the other skin care products as your day starts with a bath or shower. We have compiled this list of the best exfoliating body washes in India. Exfoliating body wash has those scrubbing particles that helps to get rid of the dead skin cells from your skin surface so that the dirt, dust and even the bacteria that you have accumulated all through the day can be removed from the skin. 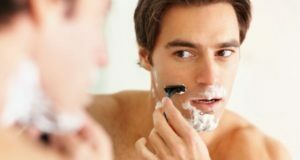 Here goes the list of the best body washes available in India that men and women can try. 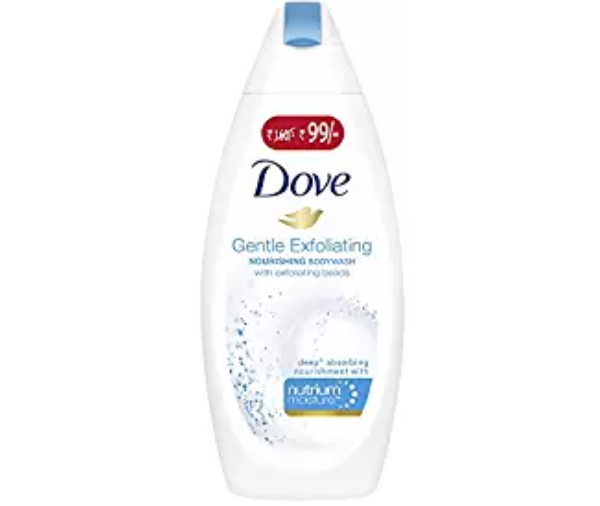 Dove exfoliating nourishing body wash gets deeper inside the skin layers and with its nutrium formula, it exfoliates the body skin. It makes the skin smoother and also gives natural moisturization. This gently washes the skin and removes the dead skin cells. The gentle exfoliation that it gives helps to retain the moisture and softens the skin. 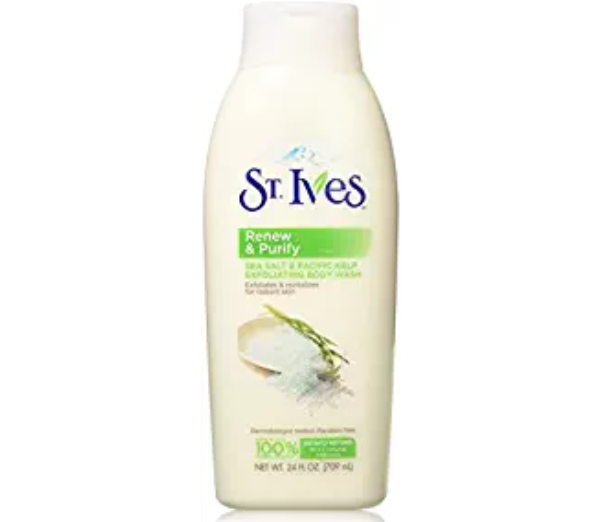 St. Ives Renew and Purify Body Wash has the sea salt that gently scrubs the dead skin cells. It is made with the natural ingredients and is a paraben free body wash. Sea salt is rich in minerals that also give nutrition to the dry skin. The body wash is rich in the finely grounded Apricot Seed Powder that efficiently exfoliates the skin and removes the dead skin. 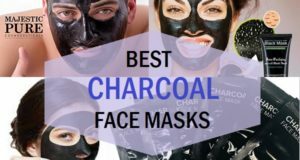 It helps to get rid from blackheads and whiteheads. Jojoba Oil and Vitamin E repairs the skin and keeps the moisture balance. Kiwi extracts help promote radiance of skin. 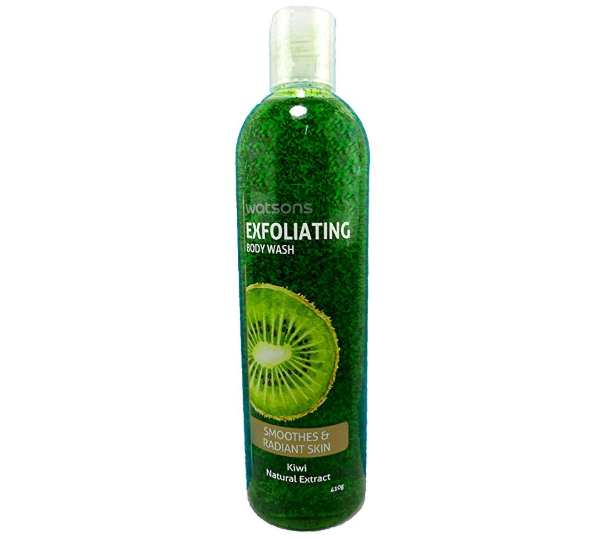 Exfoliating shower gel is made with fruit seeds and fruit extracts. It is rich in Apricot kernel powder and kiwi seeds. It also contains Raspberry and peppermint that gives it a blend of energy and freshness. The product is natural and is a paraben free exfoliating body wash. It may not be extremely inexpensive but it is reasonably priced bathing product. 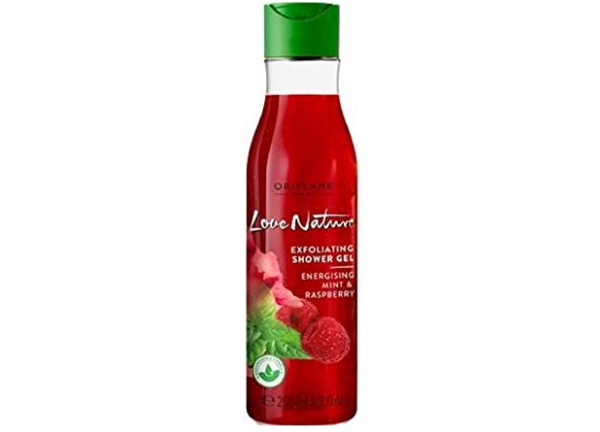 Oriflame love nature range is a promising skin care range. The shower gel has the Mint and raspberry extracts. The exfoliating shower gel is rich in mint and Raspberry that makes cleansing effective and shower your skin with fruity smell. It helps provide the dull and tired skin and gives you the energetic feel. 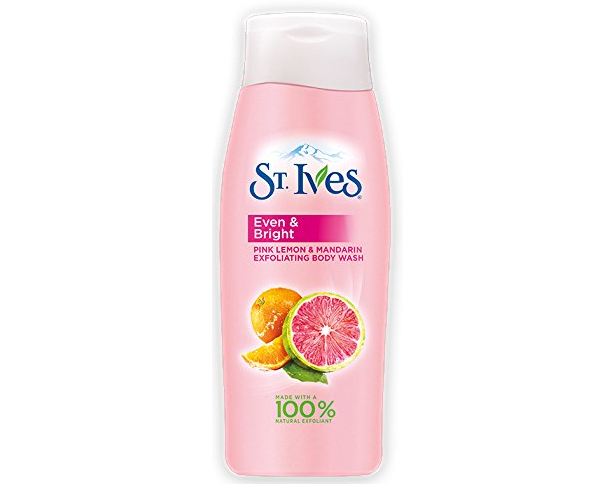 This exfoliating body wash is made with the extracts of Pink Lemon fruit and Mandarin Orange peel. It is also suitable for sensitive skin as it is Dermatologist tested product. It brightens the skin with the vitamin C rich Mandarin Orange peel. It has an uplifting fragrance which you’ll love. Pink lemon helps to revive the skin’s texture and tone. It eliminates and fades the dark spots and gives you clear skin. 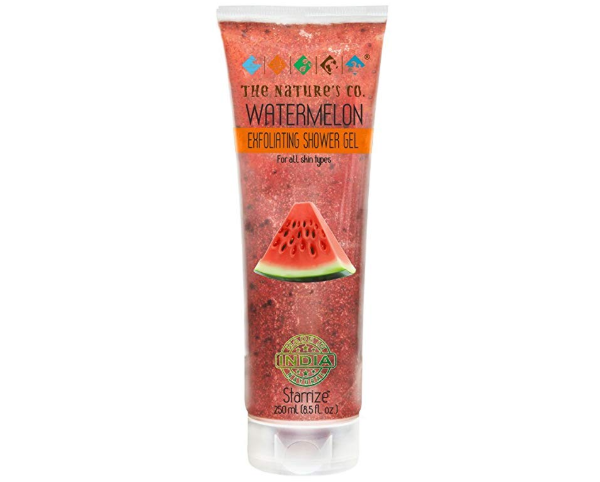 It is also a paraben free body wash.
With the goodness of watermelon in this body wash help hydrate the dehydrated dry skin. It is rich in the extracts of watermelon, walnut shell particles, kiwi seeds and glycerin. It is good for all skin types and is a paraben and chemical free product. This body wash is rich in vitamins and antioxidants that help fight the free radicals. The glitter texture of walnut seed extract makes this effective exfoliating body wash for everyone. When your skin ages, then exfoliation become extremely important as this simple steps can make your skin smoother and increases the process of cell renewal. Sea salt has been used in bathing and Scrub products since ages because the salt is a gentle and effective exfoliant plus it has the minerals that revive and rejuvenate the skin texture. This only exfoliating body wash is rich in sea salts that gently exfoliate the skin for smooth and radiant skin. It shows the results right from the first use. 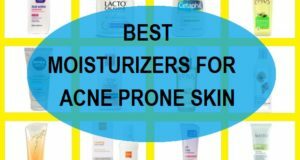 It can be used every day or every other day to keep the skin lustrous and smoother. 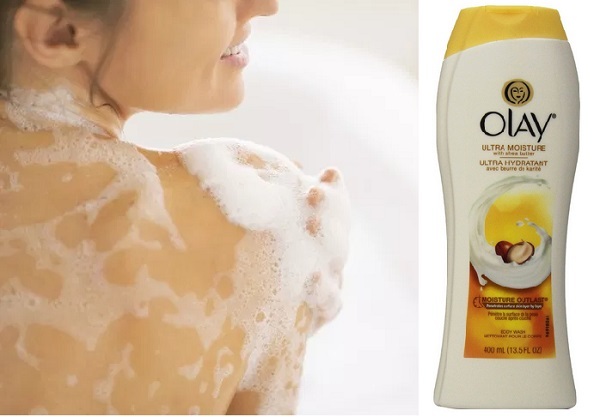 Even for the dry skin, this body wash is very appropriate since, it has the high amount of moisture retaining emollients. 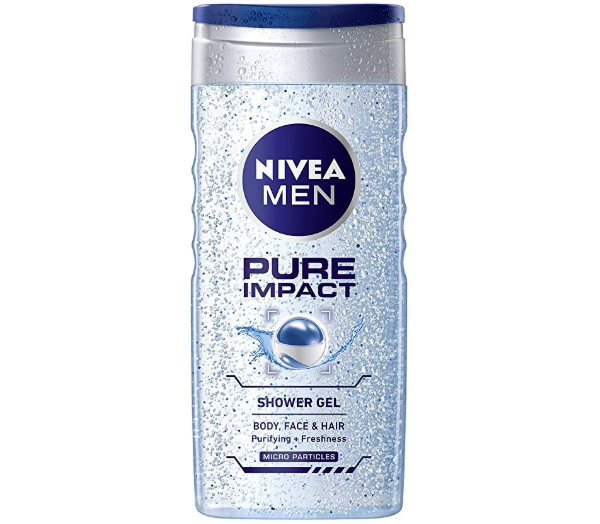 Nivea Pure Impact Shower Gel is formulated for men’s skin. It gives the deep cleansing is fact and remove the dirt, bacteria and other impurities from the skin thoroughly. It leads the skin well hydrated and is a pH balanced product. 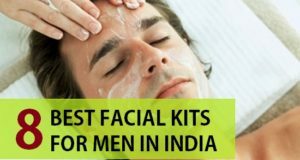 It is dermatologist approved product for men. It is a 3 in 1 shower gel that can be used for body hair and for your face. But we would advise you to use it only for the body. It contains fine scrubbing particles that exfoliate the skin while you shower. 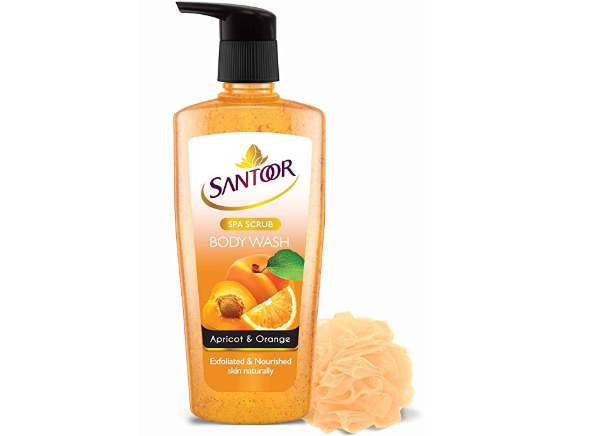 Santoor Scrub body wash also contains Apricot kernel which has excellent skin softening properties. It maintains the moisture balance of the skin and does not dry out the skin. It also consists of orange extracts which moisturizer is the skin deeply and restores the skin elasticity. It is rich in microbeads which effectively polishes the skin surface by removing the dead skin cells. 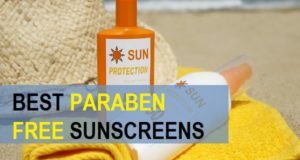 It is an inexpensive product that can be used daily. These are the best exfoliating body washes available in India. Have you use any of these? 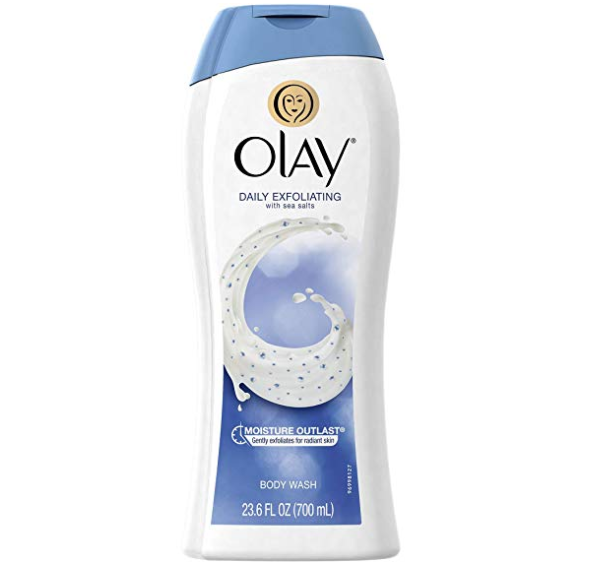 Out of the choices mentioned we like Olay exfoliating sea salt body wash and Dove gentle exfoliating body wash the most.